1. Use a fork to break up tomatoes right in the can and set them aside. Cut the sweet potato into 1" cubes. Peel the carrot and cut it diagonally into 1" lengths. Cut the squash into thick slices. Set the vegetables aside. 2. Place the oil in a large saucepan over medium heat for 30 seconds. Stir in the onions and cook them, stirring frequently, until they begin to brown. Stir in the garlic (if using), then the tomatoes (with juice), water, cinnamon, turmeric, cumin, salt and pepper. 3. Add the sweet potatoes and carrots. Raise the heat and bring the vegetables quickly to a boil. Reduce the heat to low, cover the pan and cook the mixture for 15 minutes. 4. Add the squash and chickpeas; cook for 15 minutes, or until the sweet potatoes are tender. 5. While the vegetables are simmering, cook the couscous according to the directions on the package. 6. Fluff the couscous with a fork and place it in shallow bowls. Ladle the vegetables and broth over the couscous. 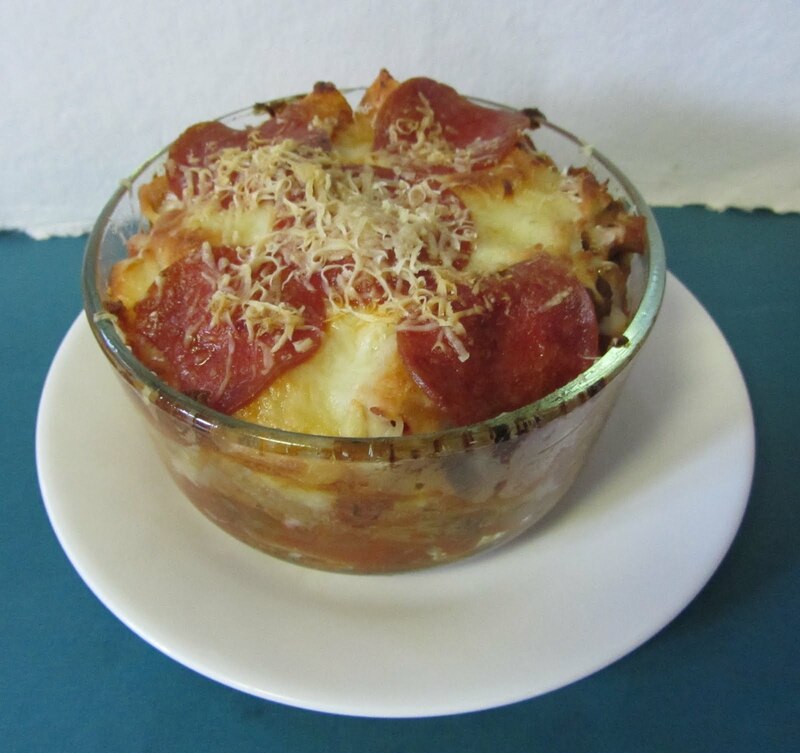 Robyn's notes: this recipe appears to be long and involved, but it's really not so bad. Due to a leak that meant the bathtub needed re-glazing, the complex had put me up in a hotel this week. Having only a mini fridge, a sink, two burners, and less than 12 square inches of counterspace is not much to work with, and I was able to make this with no problems. I made this the day of my procedure so I couldn't eat, but it smelled soooo good it was hard not to dab my finger in the sauce and lap it up.